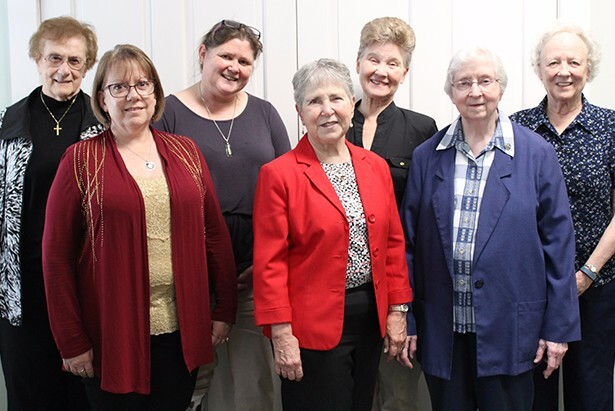 As president of the Benedictine Sisters of the Federation of St. Scholastica, I have become more and more aware of the importance of keeping well organized and accurate archives. However, it seems that tending to archives is often left on the backburner of issues considered by religious superiors, given the huge array of pressing matters before them. Nevertheless, I am convinced that if we do not tend to the necessary work of well-kept archives, we are destined to make the same mistakes of our past. We can learn from our past what is ours to do today as well look to the future. I am most grateful to Boston College for sponsoring the Envisioning the Future of Catholic Religious Archives conference and making it so affordable to attend. What a gift and contribution to women religious! I hope that many religious leaders and archivists will take advantage of this important conference. I had plunged into the waters of religious archives as the result of research in women’s history in Chicago. One particular episode had to do with the historical research I contributed to my colleague Ellen Skerrett’s curation of the B. V. M. section of the Loyola University Chicago’s Art Museum exhibition “Crossings and Dwellings: Restored Jesuits, Women Religious, American Experience, 1814-2014.” Having studied immigrant neighborhoods in the city, I knew that Catholic women—both lay and religious—held the key to a larger story of community building, social service, and education. 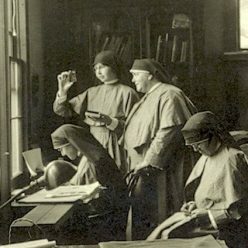 Catholic sisters were, indeed, “Sister Builders” of the cityscape in brick and mortar and of the social infrastructure that held urban centers together. However, as Ellen and I soon found out, Catholic women religious archives presented challenges for the historian. This became crystal-clear when we found scant information about Mother Isabella Kane, B. V. M. , an important leader during the expansion of higher education for women in Chicago and, as we found, mainly responsible for the conception and implementation of Mundelein College. 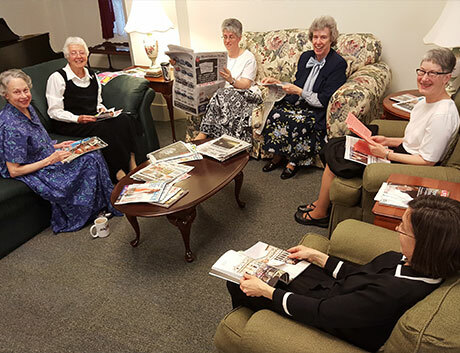 I had spent several nights and days at Mount Carmel, Dubuque, Iowa, the motherhouse of the Sisters of Charity Blessed Virgin Mary—the BVM, I knew what little biographical information existed for many of the women of the congregation. This was, by the way, the congregation of predominantly Irish women, who first set foot in Philadelphia, City of Brotherly Love, only to barely escape the burning of their convent and school during an anti-Catholic riot in 1844, headed to Iowa; here, on the banks of the Mississippi, they established a foothold in the vast new continent; from this perch, they sent forth sister-teachers and sister-builders in many parts of the United States. In Chicago, they developed high schools—St. Mary and Immaculata– and designed and built a modern skyscraper college: Mundelein College. Mother Kane was the daughter of an illiterate Irish immigrant woman, widowed and bringing up her family on Chicago’s Near West Side in the Holy Family parish. 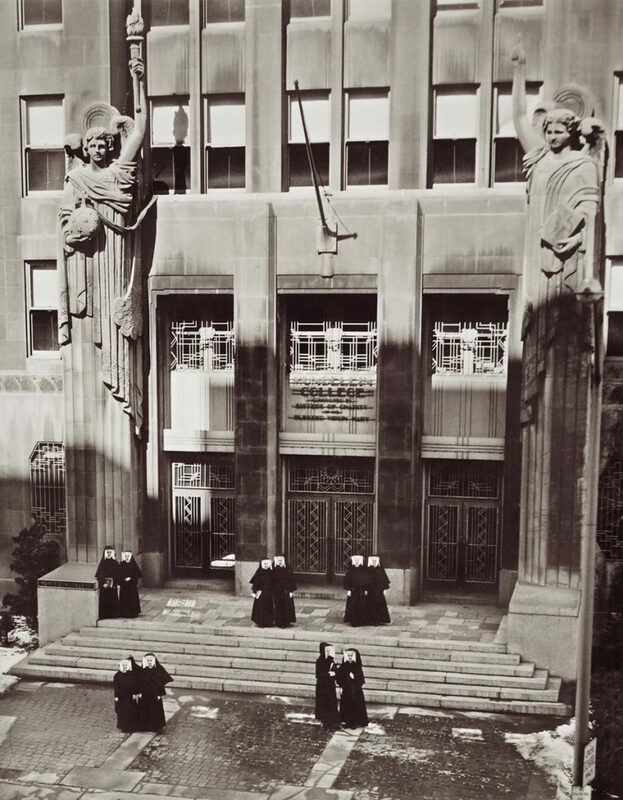 Sent to parochial school, the young girl learned to read and more than read, she learned to think, to draw and appreciate art and architecture, and, eventually, to be the intellect behind the conception of a skyscraper college for Catholic women in Chicago. How did we find out? Often reading between the lines– -finding a “little black book” – brought to our attention by the archivist at Mount Carmel, and also, studying Mother Kane’s correspondence with Cardinal Mundelein, with the architect chosen initially for the work, and with an expert from Harvard University who was both a designer and an historian of heraldry. 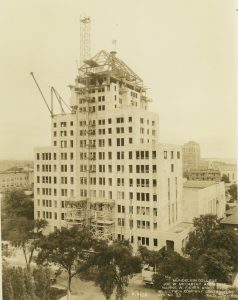 What we found was evidence that this first generation American Catholic woman had negotiated the buying of property, the incorporation of the college, and had significantly influenced the architectural style, the iconic external and internal decorations, the sculpture and symbolic statuary of this 20 th century innovation, a skyscraper building housing a woman’s college centrally located in, at the time, the second largest city in the United States which had a large Catholic population in need of higher education. 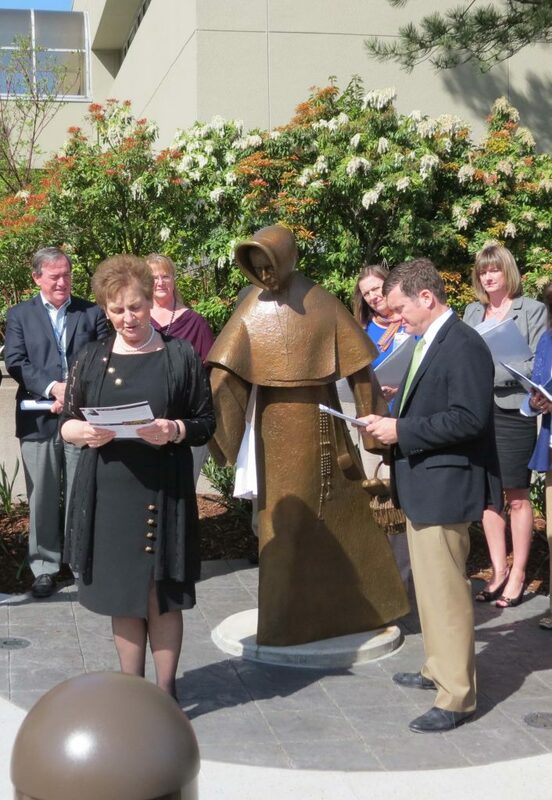 She knew it was time for women to be educated in the professions, for Catholic women religious to have greater access to higher education for themselves as teachers and as students. Our sources were not “personal” since Isabella Kane did not write memoirs or even one or two revealing, intimate letters to close friends or kin! To learn about her aesthetics and her educational goals we had to plumb her “black book” which did not directly address such issues but had her administrative notes; we had to piece together her ideas from her business correspondence with architects, the church hierarchy, real estate people, and an expert in heraldry. 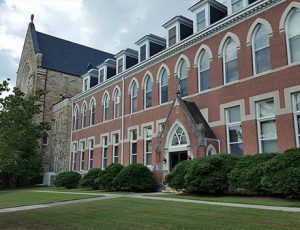 Ellen Skerrett and I were able to find blueprints that revealed the kinds of changes Mother Kane instigated in design of the building, establishing her agency in the creation and implementation of the B.V.M.’s dream of higher education for Catholic women. 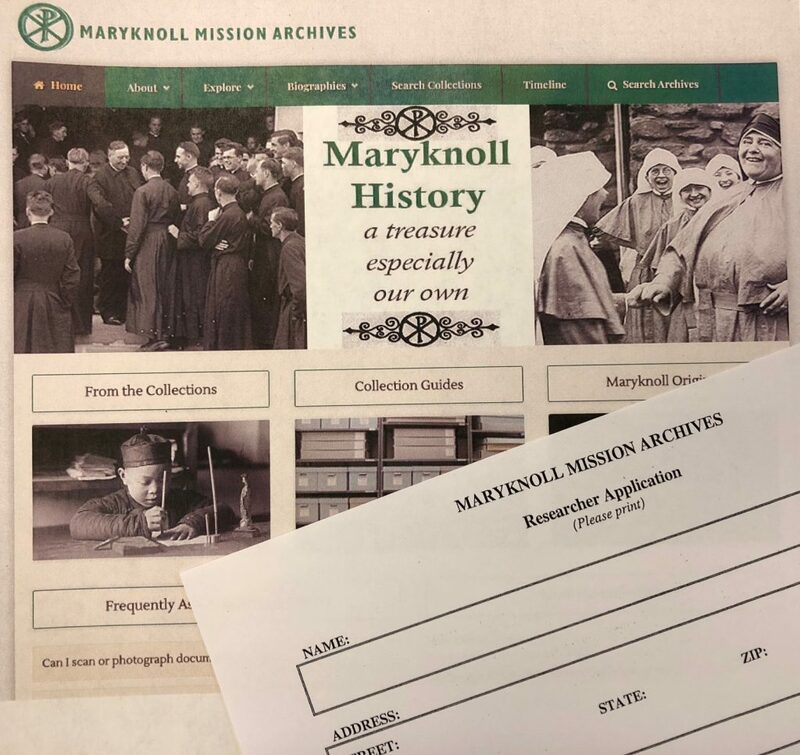 Late in the spring of 2011 the Maryknoll Mission Archives, a collaborative venture of the Maryknoll Fathers and Brothers, Maryknoll Sisters and Maryknoll Mission Association of the Faithful, launched its website and opened its virtual doors to the world. The site included information for researchers about using the Archives, an Archon component through which we began sharing finding aids for our open collections and a form for contacting the Archives. This step into the cyber realm backed by leadership’s support resulted in attracting a global body of researchers working on a wide variety of topics to the Archives. Over the last six and a half years, professors and doctoral candidates from US-based and international educational institutions such as the Australian National University College of Asia and Pacific, Catholic University of Korea, Hong Kong Baptist University, Indiana University, Iona College, New York University, Seoul National University, University of California Berkley, University of California Riverside, University of British Columbia, University of Maryland College Park, University of Tokyo and Yale University have found the Maryknoll Archives through our online presence. These researchers came with questions about U.S.-Japanese relations in the 1940s, indigenous art, Catholicism in modern Korea, religion in Manchuria, medical mission work, social history of workers in Central America, cinema in Africa, contemporary history of the Catholic Church in Taiwan, healthcare in the Marshall Islands and childcare in Los Angeles Japanese immigrant populations just to name a few. They came to research questions we as archivists didn’t dream of while organizing and describing the records. Each individual archivist-researcher interaction is a valuable partnership. For our part, we utilize our understanding of the record structures and content to help researchers identify meaningful collections, often offering new avenues as the research process develops and new questions emerge. Researchers, in turn, provide us with a better understanding of our records and offer the invaluable service of bringing these records to life and incorporating them into the wider history and understanding of the world. 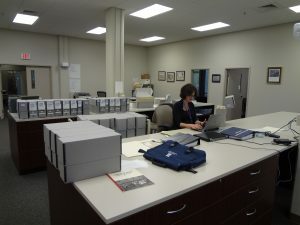 They help ensure that Maryknoll’s voice and contributions live on beyond the Archives’ stacks. The Archives’ website will continue to be a work in progress, refining our response to researchers and finding more avenues though which to make the broadest section of potential researchers aware of what resources we can offer their work. This conference is a rare and exciting opportunity to gather together all the voices that help shape our work as Catholic religious archivists in order to best share our stories. One of the responsibilities of Leadership is preserving the legacy of their congregation, especially as some congregations are growing smaller and looking at some type of closure. I know that there is a fear of losing the history and contributions of smaller less known congregations. Although these congregations are small, they hold a unique part of the history of Catholicism in the United States. Being in leadership from one of those congregations, I am interested in meeting historians who may be interested or know others who may be interested in writing the history or exploring a particular aspect of our Charism that is unique to my congregation. I am also hoping to be able to network with other leaders to think creatively on how we can house our archives and artifacts going forward. Not only so the documents and manuscripts are available for research but also the story of religious life may be made accessible to everyone. It is important to understand the circumstances and lives of these remarkable women and men who forged paths that have led to some of the most sought after education and medical treatment in the world. Not to mention a myriad of ways a foundational grounding in one’s faith has made a significant impact on the decisions and choices one has made in their lives. Networking and collaboration are the ways of the future and this conference is a place to start for leaders, archivists and historians.